Robin Walker BSc (Hons) Econ, PGCE was born in London in 1967. He attended schools in Gregory Park (Jamaica), Milton Keynes and Kettering. He left school with 7 O Levels and 4 A Levels. Between 1987 and 1990, he attended the London School of Economics and Political Science where he read Economics. In 1991 and 1992, he studied African World Studies with Dr Femi Biko and later with Mr Kenny Bakie. Between 1993 and 1994, he trained as a secondary school teacher at Edge Hill College (linked to the University of Lancaster). Since 1992 and up to the present period, Robin Walker has lectured in adult education, taught university short courses, and chaired conferences in African World Studies, Egyptology and Black History. The venues have been in Toxteth (Liverpool), Manchester, Birmingham, Buckinghamshire and London. Since 1994 he has taught Economics, Business & Finance, Information Communications Technology, PSHE/Citizenship and also History at various schools in London and Essex. In 1996 Robin Walker co-edited the first of a series of seminal lifestyle surveys. The Black Community Report 1996 was commissioned by Amenta Marketing and published in the UK. A year later, the equally important Black Child Report 1997 appeared, again co-edited for Amenta Marketing. Also in 1997, he edited The Alarm Journal. In 1999 he wrote Classical Splendour: Roots of Black History published in the UK by Bogle L’Ouverture Publications. In the same year, he co-authored The West African Empire of Songhai, a textbook that is used by many schools across the country. In 2000 he co-authored Sword, Seal and Koran, the best study there has ever been on the Songhai Empire of West Africa. For the Peoplescience Intelligence Unit, he was sole editor of the Black Community Report 2000, the Black Child Report 2001, and the incomparable Asian Community Report 2001. In 2005 he wrote the script for the independent documentary History Report: In Search of African Splendour. Over the years he has contributed well researched articles for The Alarm Magazine and the internationally respected West Africa magazine. In 2006 he wrote the seminal When We Ruled. This was the most advanced synthesis on Ancient and Mediaeval African history ever written by a single author. 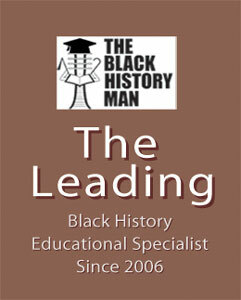 It was a massive expansion of his earlier book Classical Splendour: Roots of Black History and established his reputation as the leading Black History educational service provider. In 2008 he wrote Before The Slave Trade, a highly pictorial companion volume to When We Ruled. 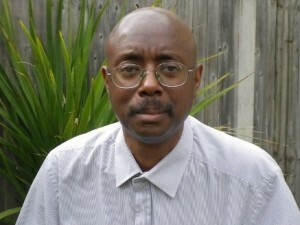 In 2011 and 2012, he wrote a series of e-book lecture-essays available through Amazon including The Rise and Fall of Black Wall Street, The Black Musical Tradition, The Mysterious Sciences of the Great Pyramid, Intellectual Life and Legacy of Timbuktu, Black Economic Empowerment: Create Your Own Plan to build Great Wealth, Understanding the Book of the Dead, The Equinox and the Real Story behind Easter, If you want to learn early African history START HERE, West African Contributions to Sciences and Technology, Ancient Egyptian Contributions to Science and Technology and finally African American Contributions to Science and Technology. In 2013, he co-authored (with Siaf Millar and Saran Keita) Everyday Life in an Early West African Empire. It was a massive expansion and rewrite of the earlier book Sword, Seal & Koran combined with his e-book Intellectual Life and Legacy of Timbuktu. Also the same year, he updated When We Ruled to include nearly all the new images from Before The Slave Trade.